A Government induced Genocide, for Corporate benefits! SIBY HERALD May 23, 2018 11:16 IST A Government induced Genocide, for Corporate benefits! The people of Thoothukudi, located down south of Tamilnadu have been protesting against the killer factory Sterlite Copper, for years. The protest and fight back against the powerful corporate, which has always been using all its money and influence and arm-twist anyone ranging from pollution control board to the ruling governments, had intensified in recent times, getting significant attention. 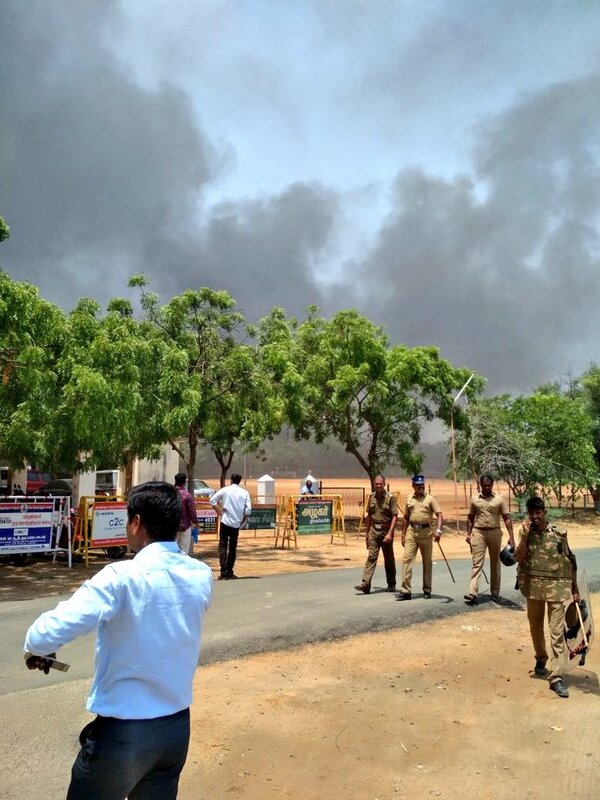 Much to the annoyance of the influential Vedanta group which owns the Sterlite Copper factory, the people have been very strong in their efforts that none of their ways helped end the protests. While the protests were for the real welfare of the people, as the toxic content emitted from the industry had taken a toll on the health and livelihood of the residents around, besides also depleting the natural resources and water, the people, who were elected by fellow people, trusting that they would work for the welfare of voting public, have so far kept quiet, probably being mouth shut by crores of bribes received. The cold-blooded murderers had not even spared women, and a school girl, who had been waiting for her examination results. 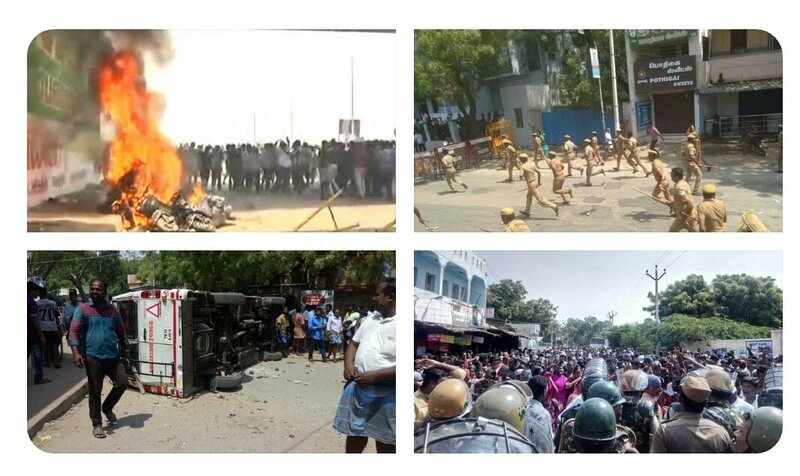 The cops, who had no authority to indulge in such inhuman act, had been solely driven by the atrociously directed Collector's order, and the government, which has maintained its silence, and will continue to maintain, till the whole of Thoothukudi is wiped off. The ruling ADMK government has so far never cared about the protests, which had been conducted in a peaceful manner, with silent protests, and hunger strikes, while they always had the option of resorting to violence, just like how the cops did today, but that could have made them mere terrorists and not fighters with a cause. With the protesters involving people of different age groups, genders, religions, educational backgrounds coming together and fighting for one common cause in a continued and prolonged manner, neither the central government nor the nearly nonexistent state government lead by EPS - OPS had a say in the issue. 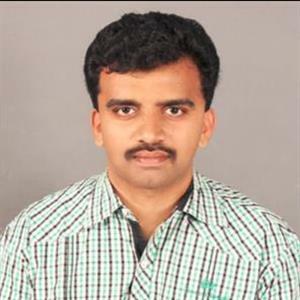 Not even a single word/statement opposing the corporate demon Vedanta, not even a word of support for the people who had elected their government, so far, and the CM - Deputy CM duo, are more active in congratulating BJP even in a premature stage in Karnataka elections. 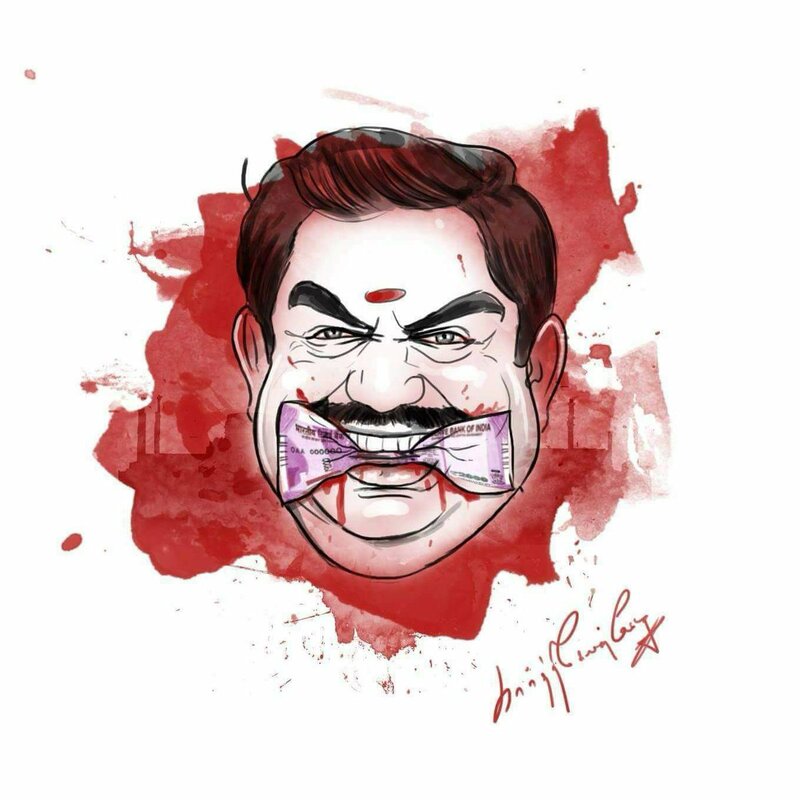 The Chief Minister of Tamilnadu (as they say), Edappadi Palanisamy, has announced compensation of 1 lakh for less injured, 3 lakhs for slightly more injured and 10 lakhs for the families of the deceased as if he has been reading out prizes for winners of a lottery/ lucky draw contest. The so-called chief minister has not even displayed an inch of respect for the protest that had been held peacefully, and iota of responsibility for the lives lost due to poor governance. While Minister Jayakumar has said that it was inevitable, another constant anti-people leader, a complete saffron terror inducer H. Raja, had opined that when protests turn into riots, such things happen - and these people call themselves the leaders of people. Its high time the so-called leaders of the state learn some ethics and learn how to lead people, as even animals have unity and fight for/protect their own. The way the whole shooting incident was staged, with people being shot perfectly that they don't survive, and how the police resorted to shooting even without attempting to use tear gas to control the crowd, when it has always been the most used way in such instances, very well proves how planned and ready they were, to go for the kill. 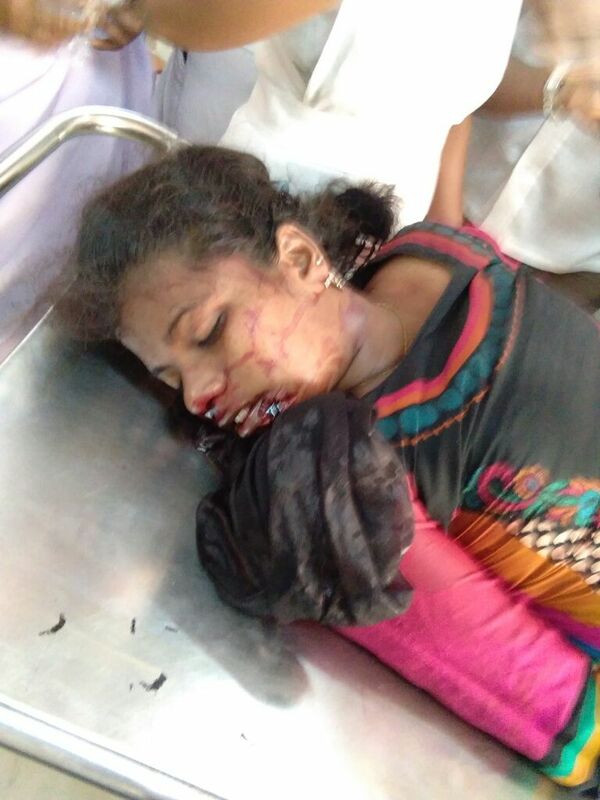 Besides, their attacks on not just the common public, but also the media, preventing most of the media from covering the news or shooting the video, the state government planned acts of blocking of TV Channels like Pudhiya Thalaimurai and Polymer TV, in Arasu cable in Thoothukudi, perfectly planning to make people not getting updated about the horrible incident as they were few of the media covering extensively, add more to the fact that it has always been an agenda of the government to disrupt and end the protest this way. Cops have threatened their way into even the hospitals of Thoothukudi to further threaten and trouble the injured, and though they had kept popular media on check, it is the common man's camera that keeps exposing them time and again, like recent incidents of cops violating their rules to harass public, and burning of vehicles during the Marina protest to name a few. Almost 13 people have been killed, and more than 20-30 people badly injured, have been receiving treatment, and are in critical stages in the brutal act the cops and the government together. 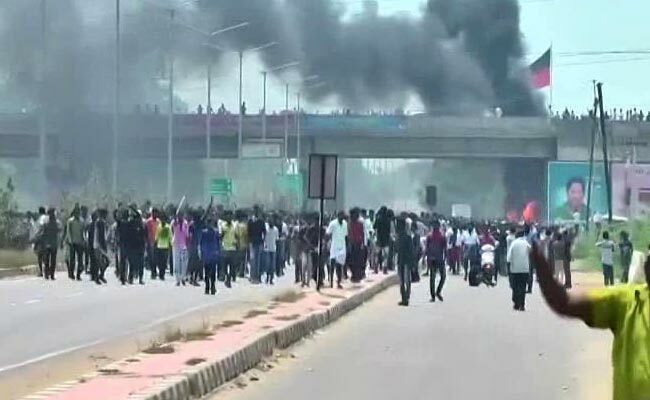 However, if the government thinks they have curbed the protests, they can very well stop daydreaming, as this is just the beginning of something bigger, and might turn even more violent. When the system the people elect fails themselves, what more can the people do other than thwarting the system itself? 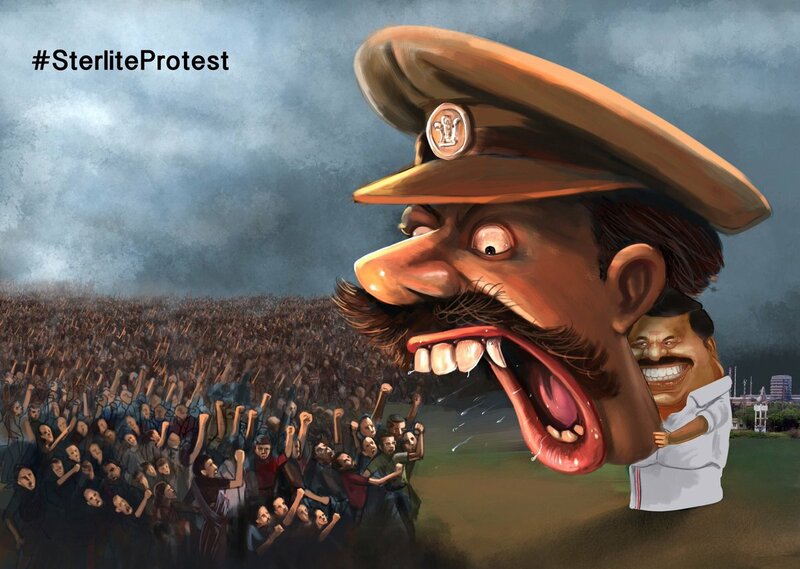 While the exact political background of the whole Sterlite shootout incident is not clear as to whether this was a plan of the state government to stop the protests or the plan of the central government to create chaos in Tamilnadu, (where BJP has no possibility of setting foot), and ultimately dissolve the EPS - OPS government accusing of poor governance, and instilling a puppet government led by their very own governor. 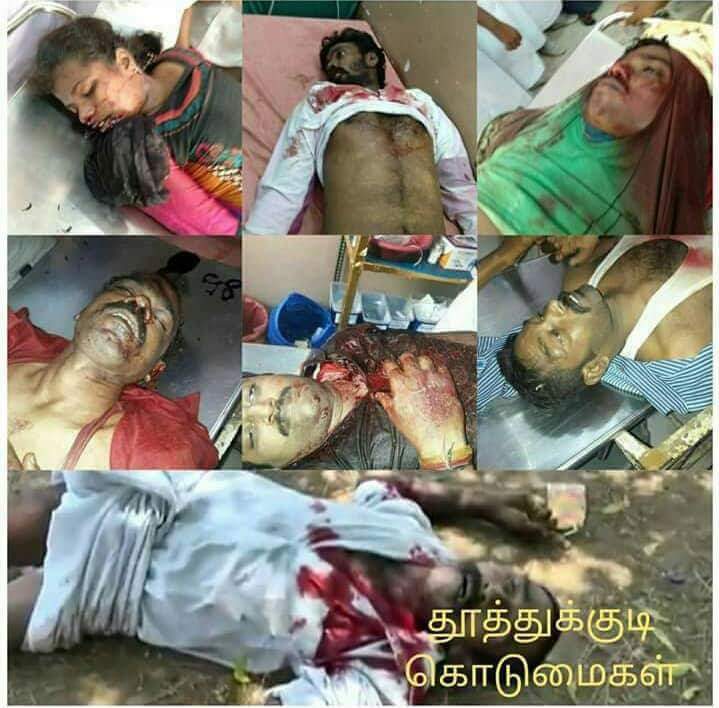 It has been just 4 days since the Tamil genocide day was observed (May 18), and here in Tamilnadu, the non existent government which has so far never utilised or exercised its powers for the welfare of the people, has exercised it finally, to kill the people instead, and has initiated a genocide in Tamilnadu itself, starting with Thoothukudi. 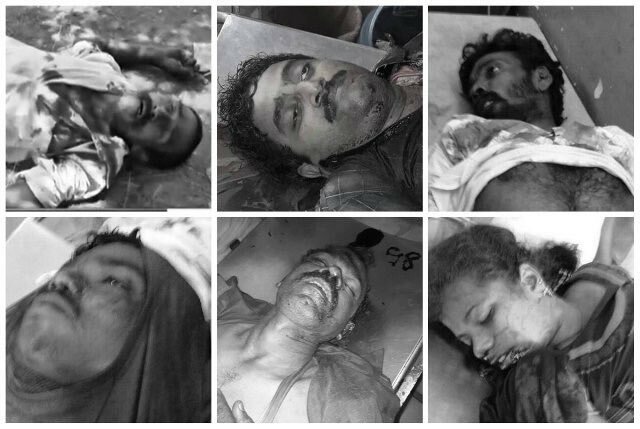 One may not be sure of the death tolls, or the deaths that might happen in the coming days, with police forces and state government joining hands to kill civilians, but it's high time the people begin thinking, before the corrupt politicians who look at only monetary benefits and go behind corporates, wipe out the whole Tamil race by such genocides, and use their right to vote for the right people, at least in 2019.